The Swiss government has promised to defend the economic interests of its companies that are active in Iran and would be targeted by renewed US sanctions, recommending that they go on with their business in the Islamic Republic. 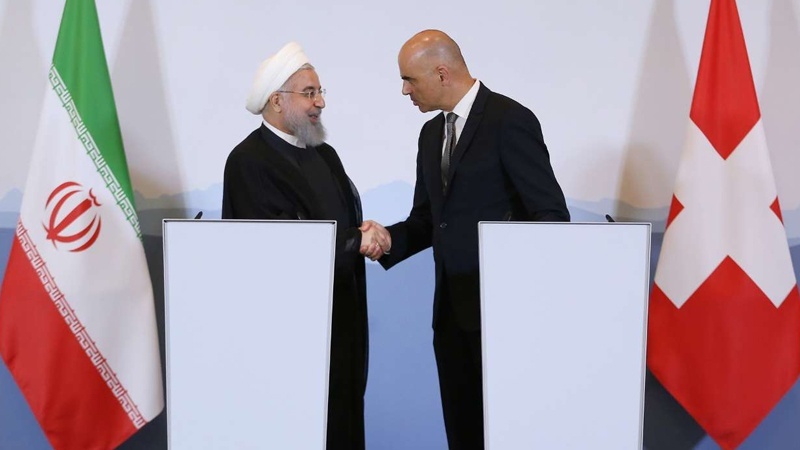 “[The government] recommends that companies pursue their commercial relations with Iran and inform themselves about the situation,” said Fabian Maienfisch of the State Secretariat for Economic Affairs (SECO) on Thursday. The comments came just a few days after the United States re-imposed a series of sanctions on Iran that had been lifted as part of a 2015 landmark nuclear agreement between the country and world powers. The decision came after US President Donald Trump’s unilateral withdrawal from the pact, which is known as the JCPOA, in May, despite statements by other parties to the deal, including the Europeans, that they would remain committed to the agreement and would do their best to protect their businesses from renewed US sanctions. Maienfisch said the Swiss government regretted the “deteriorating” situation regarding the sanctions imposed by Washington on Iran but also insisted that it could not force its businesses to resist US pressure. Some European companies have announced that they would halt their activities in Iran to avoid US punishments. Some others, however, have insisted they would remain in the country. Nestle, world’s biggest food company which is based in Switzerland, said it would continue producing infant formula and cereals as well as bottled water in Iran. The company said Tuesday that renewed US sanctions had no direct fallout on Iran.